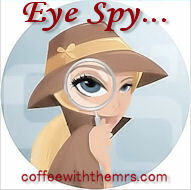 Eye Spy ~ Free Popcorn Tuesdays At MJR! These days, it can get pricey to head out to the theater for a movie night. Part of the problem is paying for the snacks after you've paid an arm and a leg for admission. Am I right? Well, MJR wants you to enjoy a movie AND a snack. They're offering free popcorn on Tuesdays at the locations listed below.